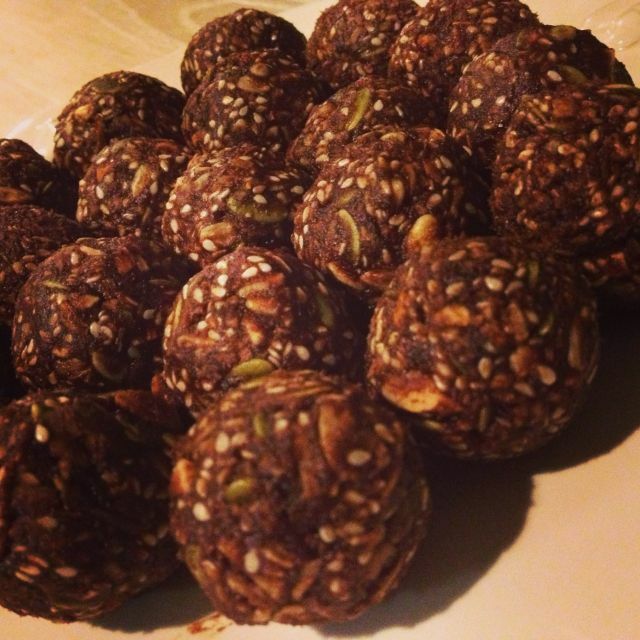 Paleo Superfood Date Balls Recipe. Stuck for a snack idea? Why not try these super easy and super delicious paleo superfood date balls! paleo super food date balls. Food process the dates until they become a sticky paste. Roll the mixture into 16 small balls. Place the extra coconut into a small plate and roll each ball in the coconut. Refrigerate in an air tight container until it's snack time. Feel free to swap the pumpkin seeds and sunflower kernels to your favourite nut. We have tried almonds, cashews and brazil nuts, which are all equally delicious!